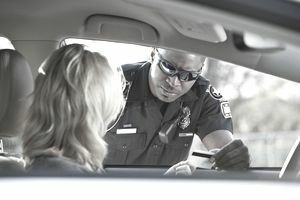 Are traffic violation points and at-fault accident points confusing to you? A point system is used by most states and all insurance companies to track your driving indiscretions. Traffic violations and at-fault accidents both create points on your driving record under the insurance and the DMV system. While you don’t want to get points from either system, drivers license points and insurance points are handled differently – and have a different impact. Both will cost you money; one could cost you your freedom. There is one thing, however, that both have in common: You are not trying to score points when it comes to your driver’s license or insurance policy. The fewer points you have, the better driver you are considered to be by both the state and your insurance company. Everyone starts with a clean slate, and it is up to you how many you collect over a lifetime. If you rack up points in the insurance system, you’ll pay more money to remain insured. If you wrack up too many points in the DMV system, you could lose your license or worse. The infractions that land you in hot water in the DMV point system, and the consequences of accumulating too many points, vary state by state. Thankfully, each state’s DMV publicly lists the offenses that would cause you to gain points under this system, and most of the infractions are pretty severe. Any at-fault accident or negligent act on your part (such as driving recklessly) have the ability to add points to your license. Police add points to your record after a violation. As points add up on your driver's license, you will be charged fines by the state. Once so many points are accumulated, the final penalty is license suspension. Some states offer traffic school classes to remove points from your driving record. Get a certified copy of your driving record from your Secretary of State office to verify your history. The number of points added to your driver's license depends on the traffic violation and which state you reside. Regardless of the state in which you received the offense, it will go on your driver’s license with the corresponding points. Most insurance companies generally use the guidelines set up by the Insurance Services Office (ISO) to dictate their points system, while others create their own unique metrics. These points dictate how much you’ll pay in premiums, but the exact points and the points system used are rarely revealed by the insurer. Insurance companies track points by driving record and claims filed. As points add up on your insurance policy, your insurance premiums will go up. Once so many points accumulate, your insurance policy could be non-renewed. Some states offer traffic school classes, so your insurance carrier is not notified of a violation. Ask your insurance agent for information on points on your insurance policy. The main difference between driver’s license points and insurance policy points is who is responsible for adding the points. It is at the police officer's discretion whether or not to give you a ticket, and thus points off your driver's license, after an accident. It is not uncommon for a police officer to let a driver go without a ticket if severe weather is the reason for an accident. Occasionally, situations arise when the police are not notified of an accident, for instance, if the accident occurs on private property. If a claim is filed with the insurance company, the fault will be determined regardless of whether or not a ticket was issued. But according to insurance companies, single car accidents are always considered at-fault accidents, and points will be applied to your insurance driving record. Will My Points Drop Off? Most points will be viewable on a CLUE Report forever. However, you are only penalized for the points for a given amount of time. The length of time you are penalized for a violation varies depending on the offense. It is a great idea to be on your best behavior after receiving a violation because penalties increase the more you get. There is no surefire way of avoiding ever adding insurance or DMV points to your liscense, but the best bet is to practice safe and defensive driving behavior at all times. Never get behind the wheel when intoxicated and do your best to avoid accidents.